You got a purse? 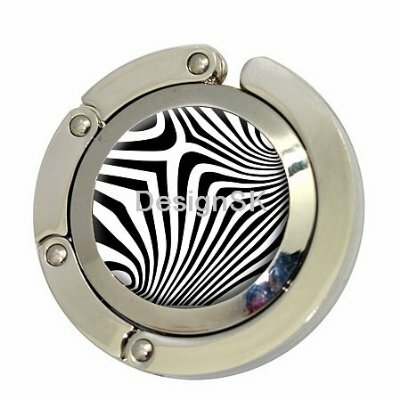 Don’t go anywhere without your handy Zebra print purse hook by DesignK! 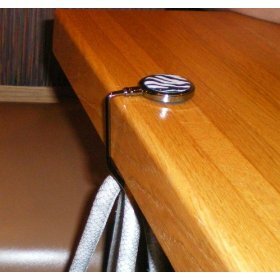 This absolutely awesome and innovative handbag hanger will keep you organized and “hands free” wherever you stand. Never need to let your purse on dirty floors again! It is so useful at restaurants, in your closet, at your office desk, on a pool table, at a bar, etc. This item is so useful, you can use it to hang other things besides your purse, such as an umbrella, wires, towels, hats, scarves, belts, etc. and always in style! * Holds up to 15 lbs. * COMES WITH VELVET POUCH! Such a great gift!